You have basement space but it’s cold, damp, or just plain ugly. An unfinished basement is a waste of valuable space. Let our team of experts refinish that space once and for all. 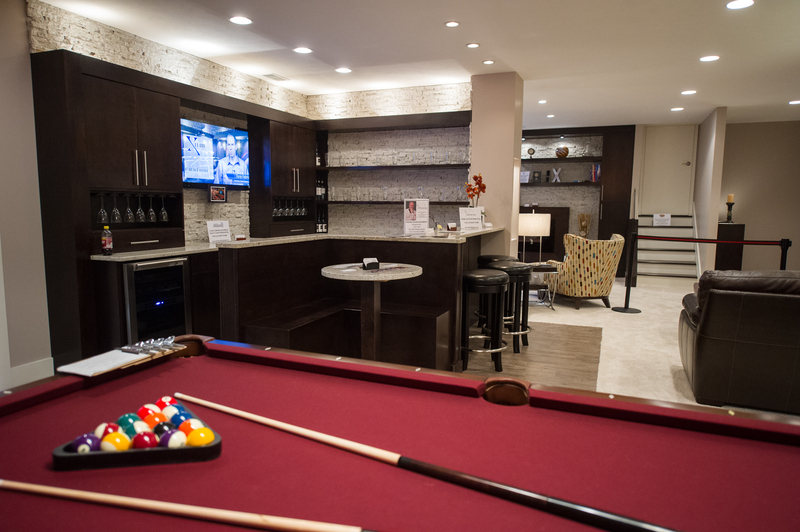 A finished basement can provide functional new living space & be a real asset to your home’s long-term equity. 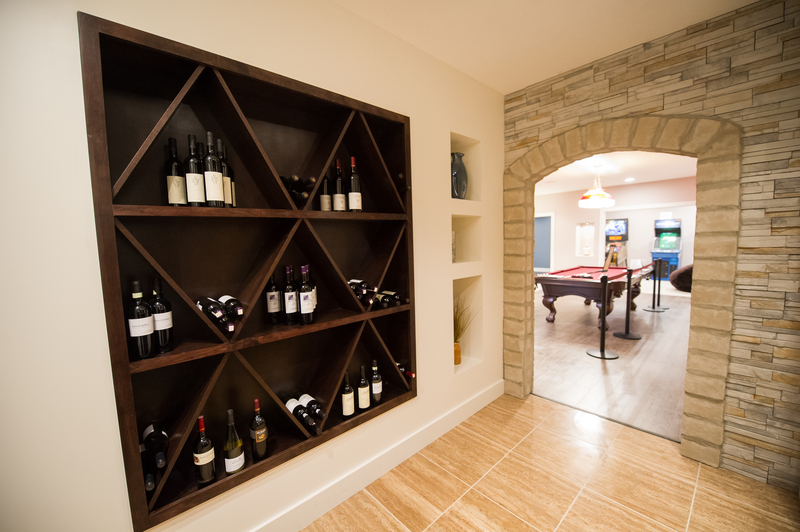 Refinished basements can also provide multiple uses of the space other than a laundry room. Whether it be a spare bedroom, a gym, a man cave & theater room, an office or workshop, or even a bar or game room, the possibilities are endless. 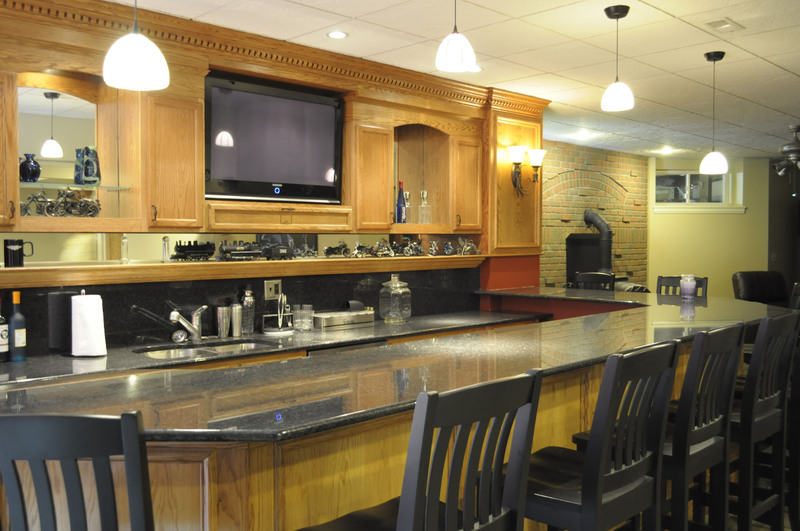 Our experienced designers will redesign the space to fit all your needs & wants utilizing the space you already have. Yes, we can give you that extra storage space you didn’t think you had. After drafting a design for your basement our designer will present to you your design in 3-D software so that you may visualize the space before even starting on the project. Next we will refinish your basement to be clean, safe and organized for you, and your friends & family to enjoy. 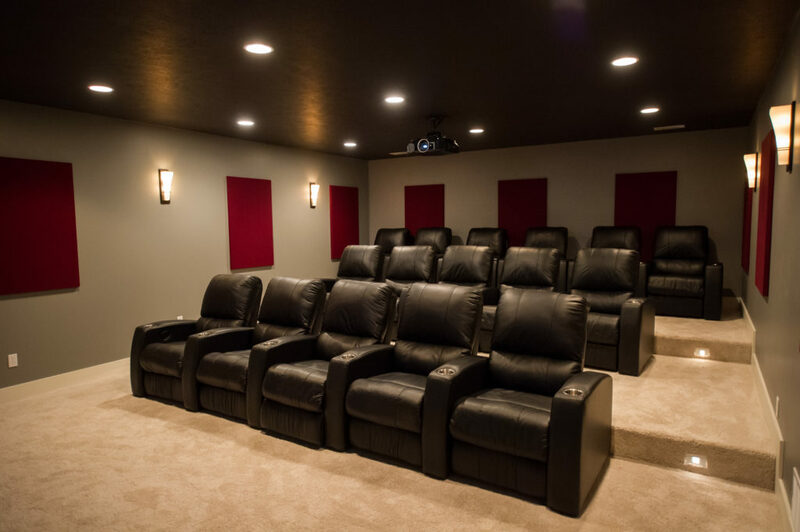 Once the design is complete and you’ve made your final selections, our expert craftsmen get to work delivering a quality finished basement space that you can actually use & enjoy. We will execute our work with precision & quality workmanship, leaving you & your home with the finished basement you always wanted.